In mine and quarry operations, operators must be able to manage the water where it is known to exist and quickly alleviate the problems associated with it when it rises unexpectedly. 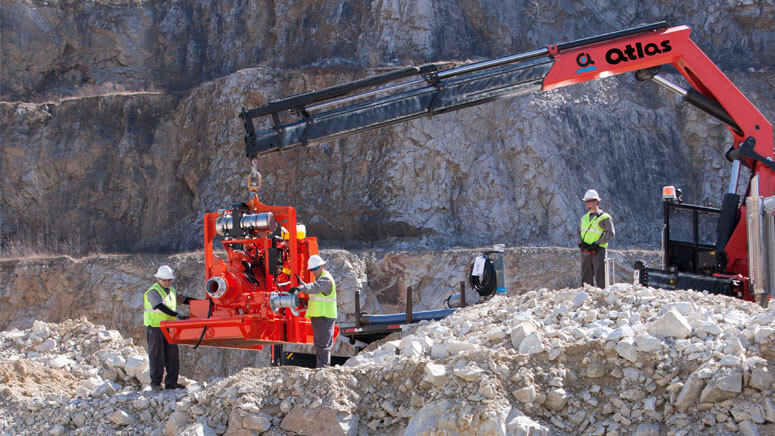 Mine and quarry operators rely on Atlas Dewatering for all their dewatering needs. In open-pit mines, we pump seasonal rainwater and seepage (regardless of solids content), from the pit. We lower the water table to prevent influx of ground water. In mineral processing applications, we supply mine water, pump process fluids for heap leaching and solvent extraction, recover emergency dam slurry, handle nuisance fluid and slurry, and provide pumps for water treatment.